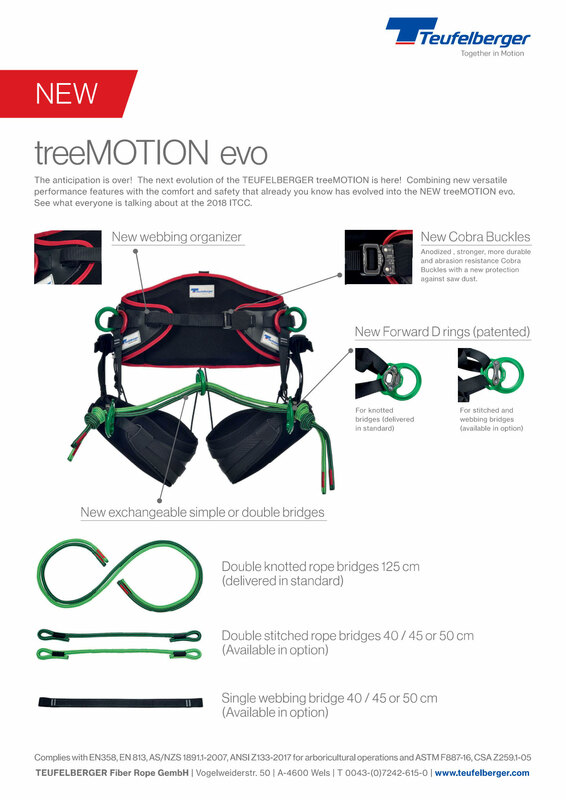 The new treeMOTION evo combines new versatile performance features with the comfort and safety of the original treeMOTION harness. Combining new versatile performance features with the comfort and safety that you already know has evolved into the NEW treeMOTION evo. New to the treeMotion evo: forward D rings, along with anodized, stronger, and more durable Cobra Buckles. Double knotted single or dual rope bridges. Folks who have tried the treeMOTION love it for the way it can be totally customized by the user for a custom fit that provides pinch-free climbing. The unique construction of this saddle allows the user to customize everything from the hang of the leg loops to the position of gear loops for complete freedom of movement and comfort. The saddle itself is lightweight and contours to the body ergonomically with replaceable, washable padding. 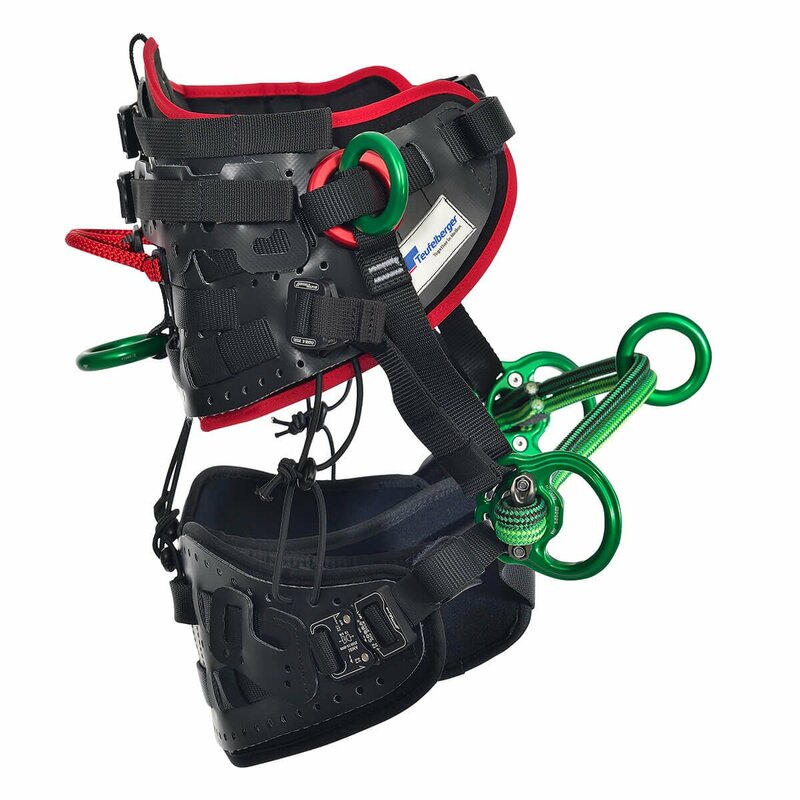 On the back of the harness you'll find a rated rescue / rear attachment ring. All elements of the treeMOTION evo were tested at a total load of 260 lb., so you can rest assured the treeMO is built for production climbing! The double knotted rope bridge is easy to replace without splicing or disassembling the saddle, and is easy to install a micro pulley on. The rigging plates where the bridge connects can also be used as fixed attachment points. Features quick-connect leg and waist Cobra Buckles--designed to keep sawdust out of the mechanism--and ample slots for gear rings, carabiners, or caritools. 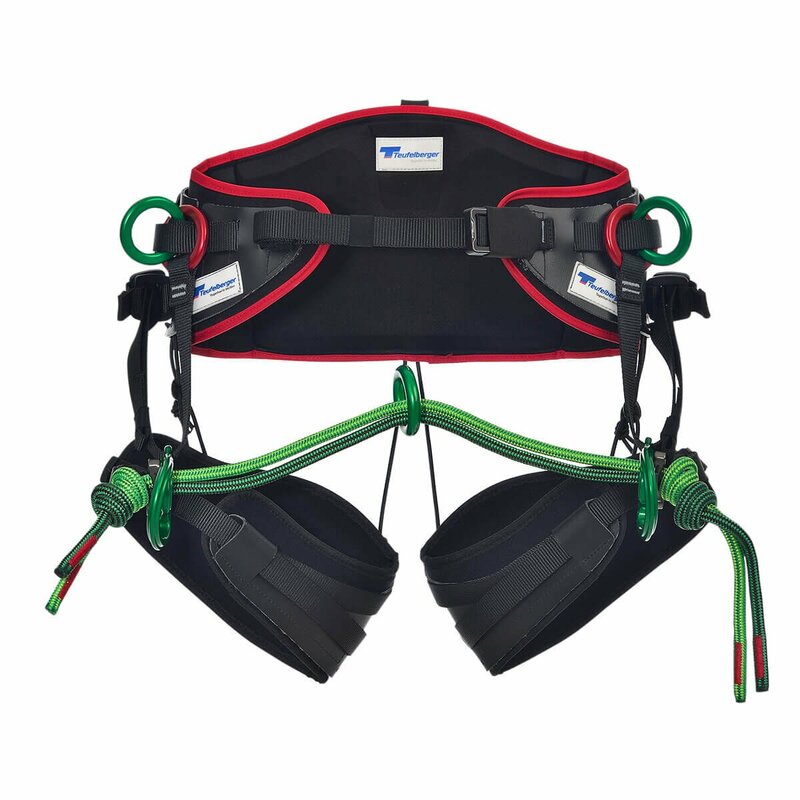 Wwo heavy-duty gear loops are located on the back, with a heavy-duty position for attaching a saw, and a spot for a climber's first aid pouch. A webbing organizer keeps the tail of your webbing adjustment tucked away. You may have to spend a little time customizing your treeMOTION - once you do, you'll have a harness that fits you and your job like no other!